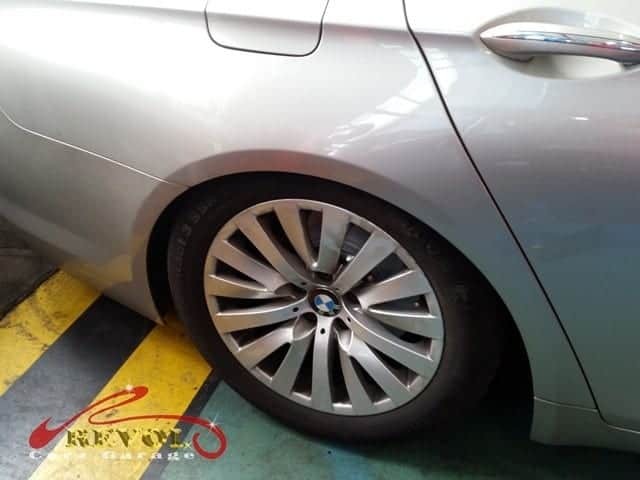 Today we have the pleasure of sharing some photos of BMW 7 Series replacement of the Self-Levelling Air Suspension which requires professional expertise and competence. 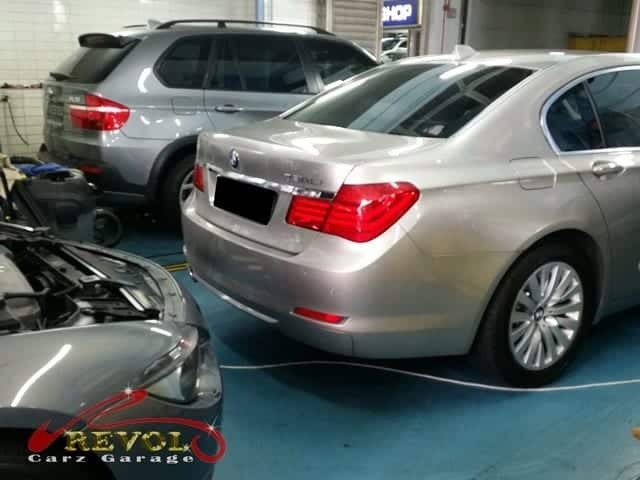 Unlike other models which commonly use conventional spring suspensions, the BMW 7 series is known for its Standard Dynamic Damper Control. A Self-leveling Air Suspension at the rear. 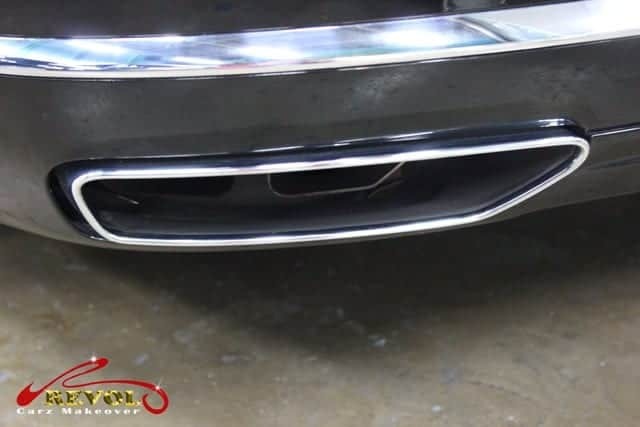 This feature ensures the vehicle offers a consistent height and maximum comfort ride. Air suspensions however, are subjected to wear and tear over the years. Some car owners may experience tilting or uneven level when the car is parked. Some totally worn out air suspension will have error message displaying. 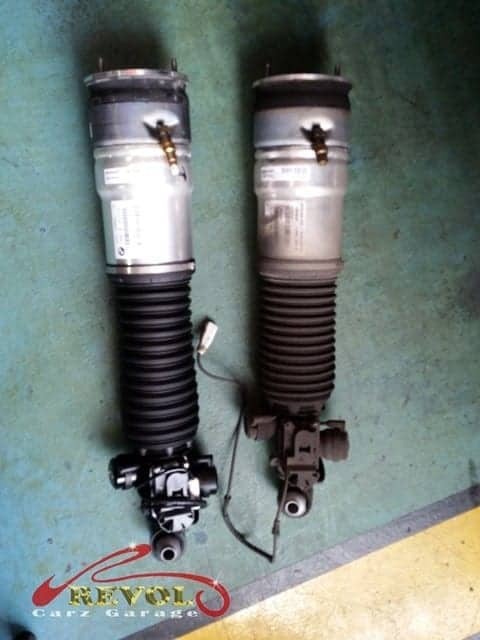 Can you see the difference between the new and used air suspension? 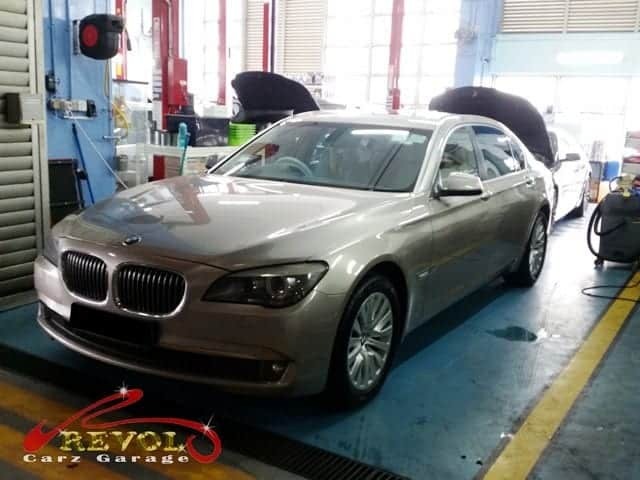 After replacement of the air suspension, we are glad the beautiful 7 series had revived its original comfort driving. Car wash done and it’s ready for collection. 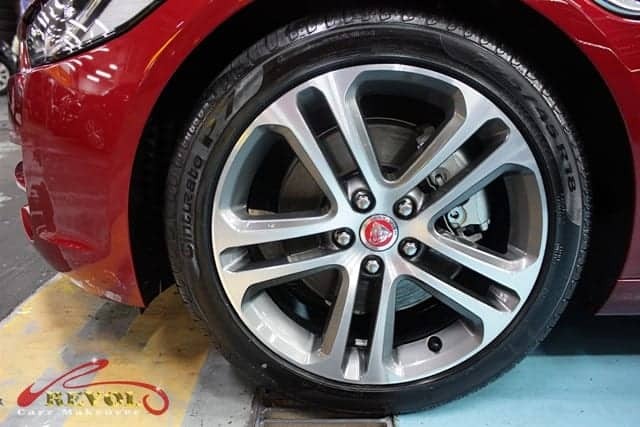 We celebrate the arrival of a new 2017 Jaguar XE at Revol Carz for a professional grooming session with essentially, the unrivalled ZeTough Ceramic Paint Protection Coating. 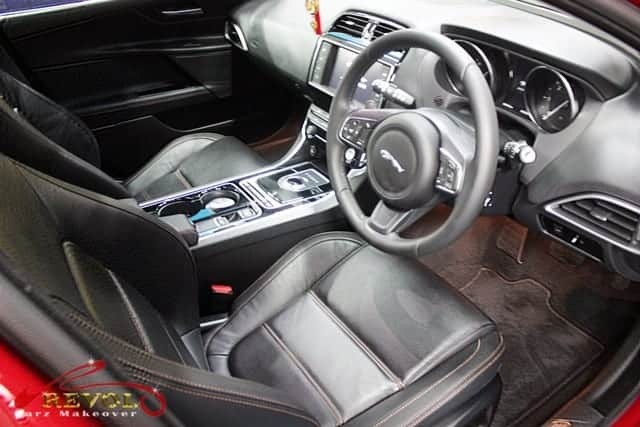 With a seductive silhouette of beauty and stunning performance, is every inch a stunning British Jaguar. It has been rigorously optimized for aerodynamic efficiency and stability. 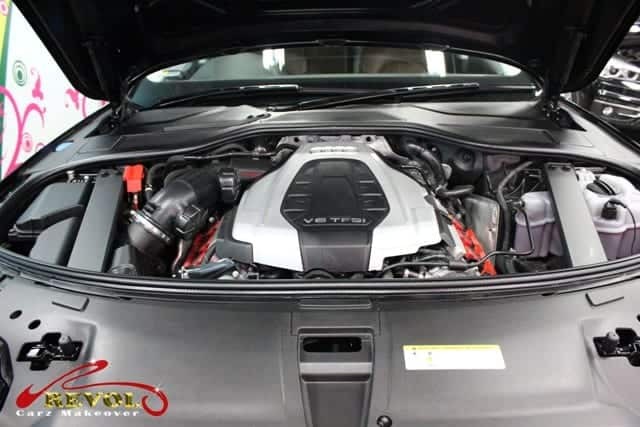 Under the hood lies a supercharged 3.0-liter V6 engine that produces 340 horsepower at 6,500rpm and 450Nm of torque at 4,500rpm. It is capable of a 0-100km/h sprint in 5.1 seconds and an electronically limited top speed of 250km/h. Nothing gives us more inspiration than seeing the satisfied owner beaming a mega-watt smile when he collects his gleaming Jaguar XE. Thanks to the magic of ZeTough Ceramic Paint Protection Coating. 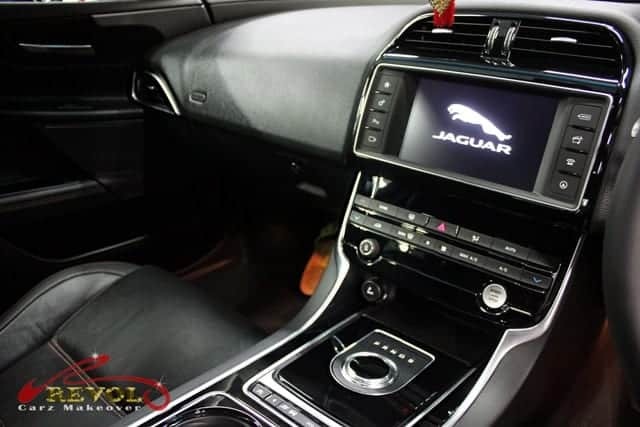 We are posting some seductive pictures showing the progressive transformation of the Jaguar XE. 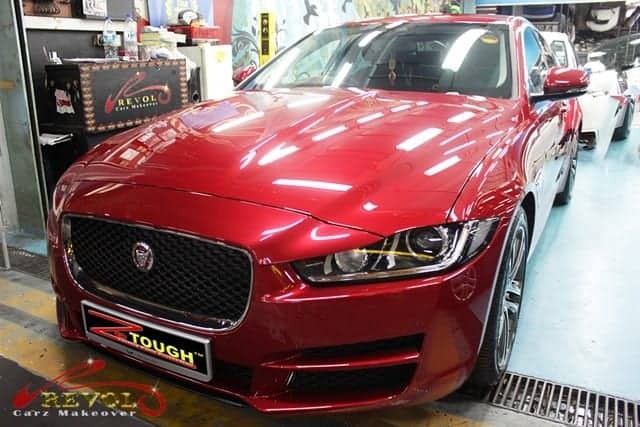 The Jaguar XE growls with ZeTough Ceramic Paint Protection coating after the grooming session. The sculpted bonnet sweeps back from distinctive ‘J’ blade headlights. The large grille is flanked by a pair of narrow pointed headlamps boast of its genetic relation to sport cars. The restored paintwork is dramatic. The LED headlamps had been vigorously polished to give even more ferocious looks. 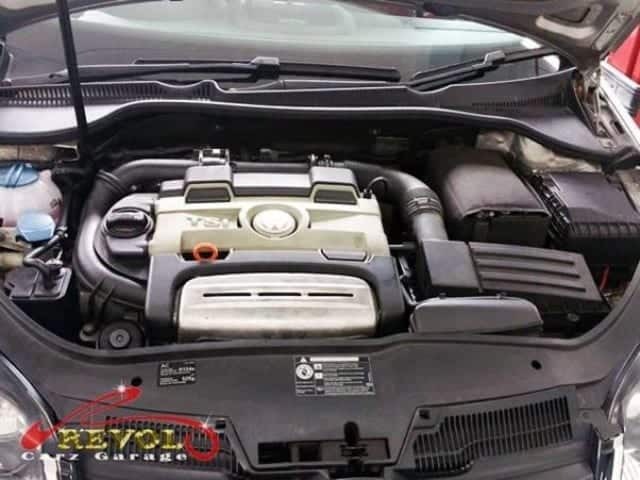 The engine bay being successfully restored to this super-cleaned level is most rewarding for our professional team. The 3.0-liter engine that produces 340hp and 450Nm of torque is capable of accelerating the XE from standstill to 100km/h in 5.1 seconds. The raised rotary center control adds to the soothing cockpit feel. Every control is at your fingertips. 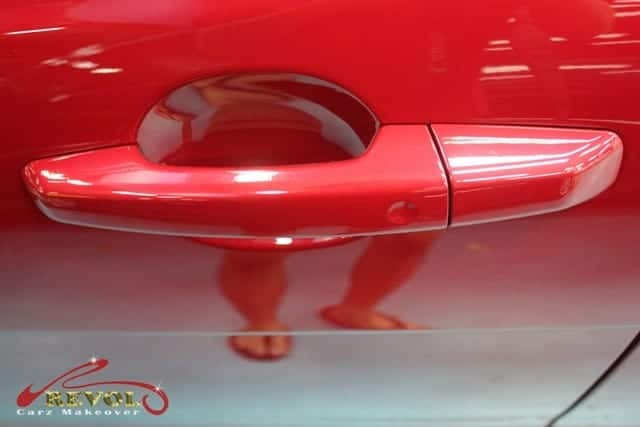 Take a close-up and in depth look at the breath-taking finish after the ZeTough Ceramic Paint Protection coating is fully cured. No more annoying finger-nails scratch marks around the door handles. The aerodynamically designed sides of the XE are honed to sweep air seamlessly to the tail. 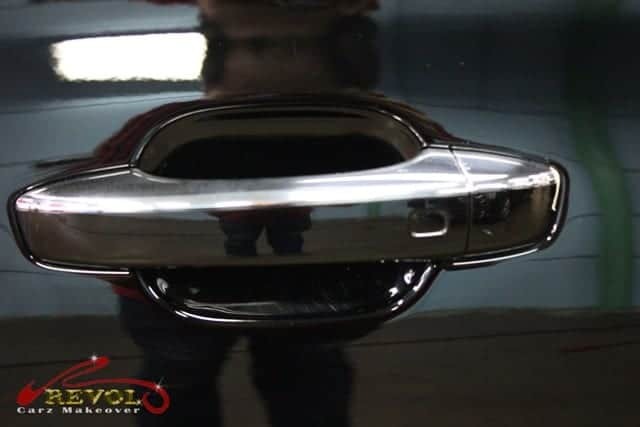 The iconic tail lights have been polished to enhance the beautiful finish. 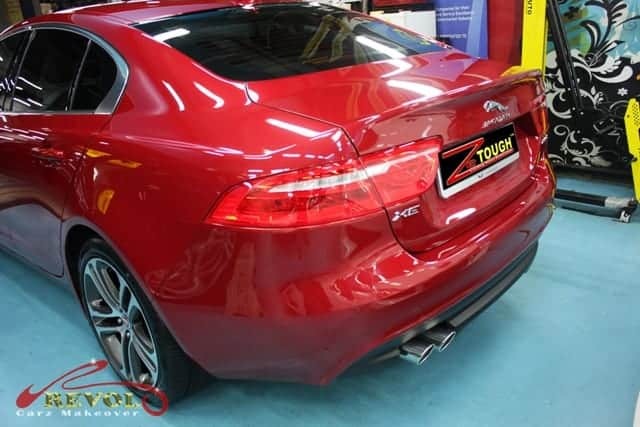 One glance at the gorgeous rear view and you’ll gasp at how our signature ZeTough Ceramic Paint Protection Coating has transformed the XE with such profound shine. 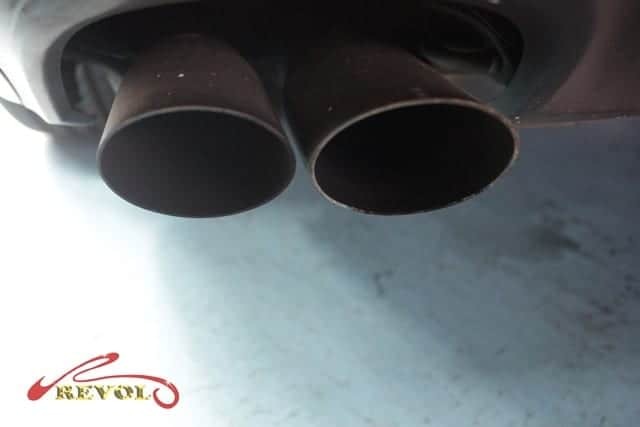 The makeover is never complete without giving the exhaust pipes a professional polish. All the wheels are tirelessly cleaned, polished and fully restored, complementing the alluring finishing of ZeTough Ceramic Paint Protection. 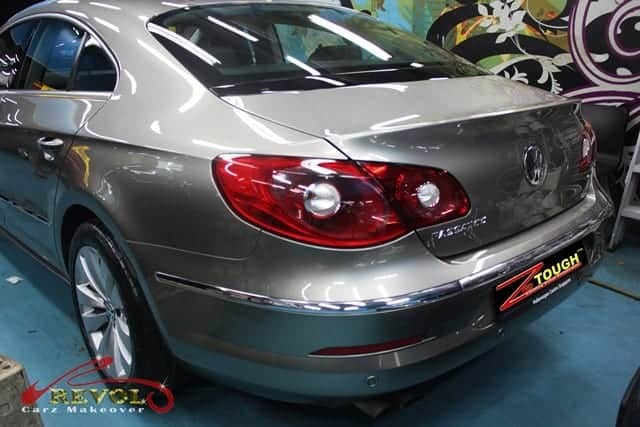 With the proven coating of our Eco-friendly ZeTough Ceramic Paint Protection, we guarantee your car’s paintwork gets unparallel protection with the guaranteed showroom shine throughout your ownership. 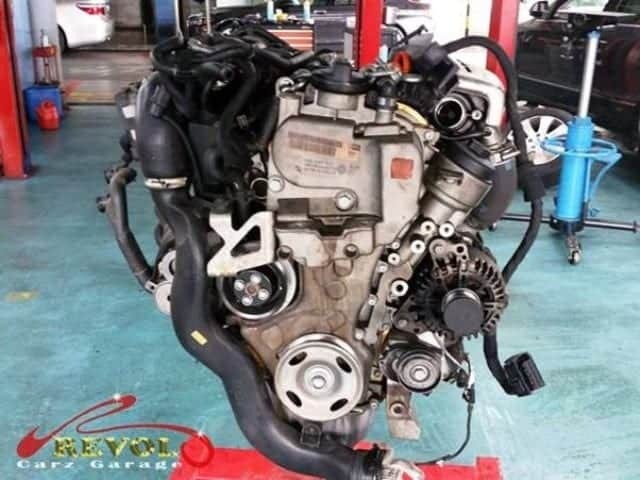 Has your Volkswagen engine experienced intermittent vibrations, loss of power, fault codes lighted up or even stalled engine during driving? 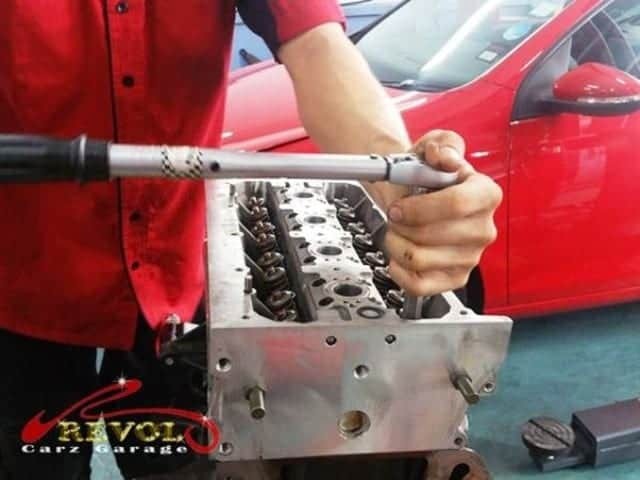 Despite that your previous workshop had your ignition coils and spark plugs replaced, the problem remained? 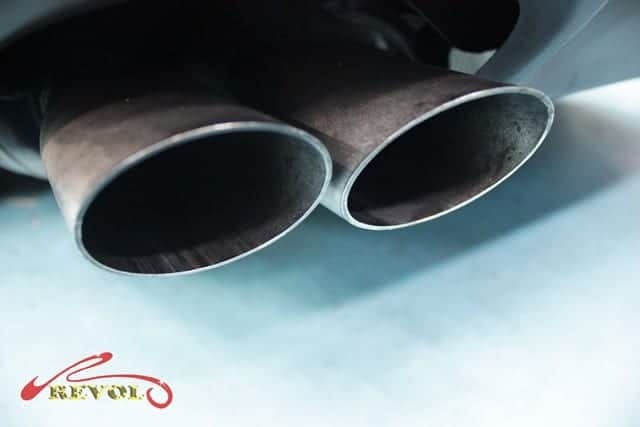 Through recommendation, the customer sent his Volkswagen to our workshop with these problems. Our professional technicians performed various tests and confirmed the pistons were faulty. 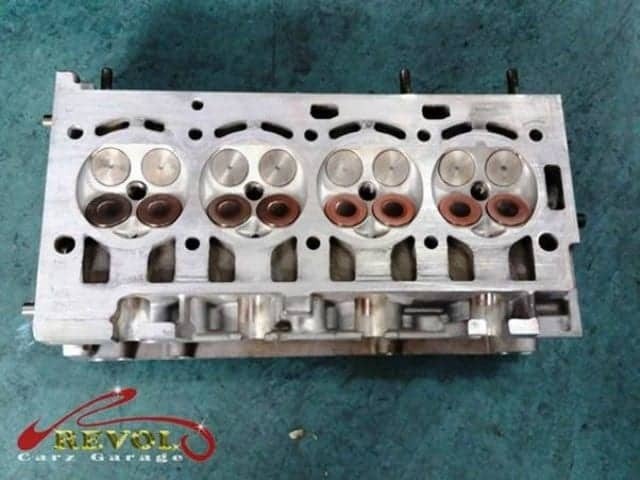 We recommended engine overhaul and replace the worn pistons to resolve the problems completely. 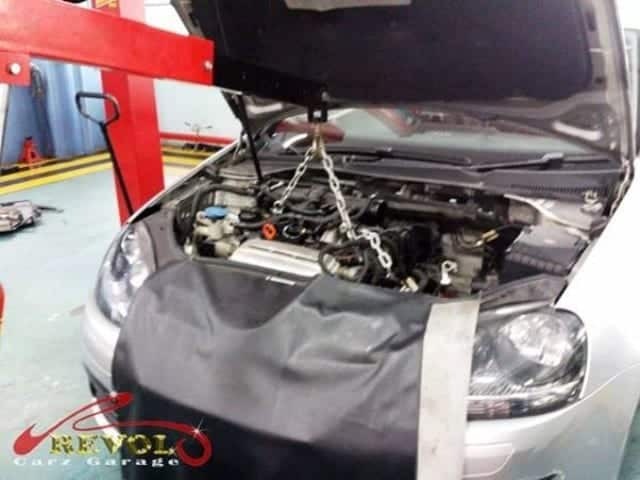 This would not only solve the vibrations but the car runs smoothly like new again. 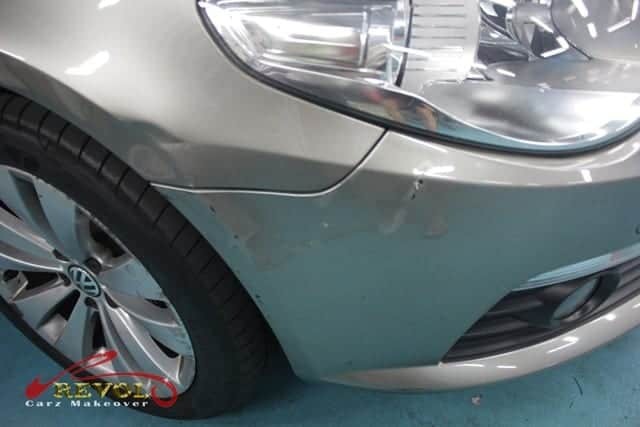 If your car encounters similar issues or if it feels abnormal, it is time to have it diagnosed by professionals before adverse damages set in. 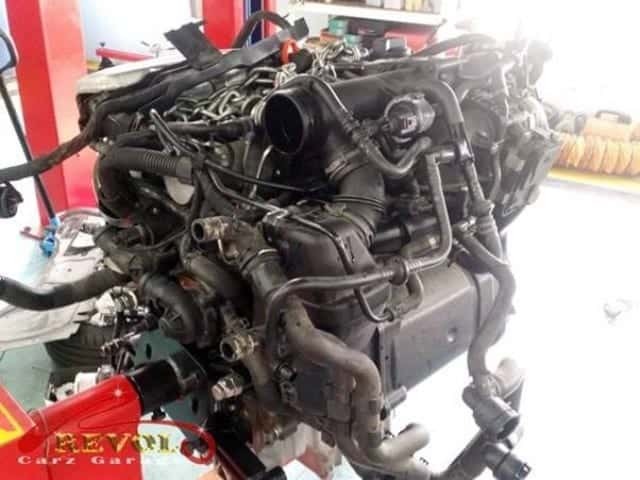 The Volkswagen arrived at Revol Carz Garage for engine overhaul. We commenced work swiftly to reduce the down time so we could return the car sooner to the owner. Preparing to be lift the engine from the engine bay. The engine is safely removed and placed on a designated engine rack. Imagine the amount of work incurred in the process from the above photo to the photo below? The engine related parts are carefully dismantled in order to retrieve the pistons for replacement. The culprit is the cracked piston. Can you tell the difference between the new and used piston ? We nominate the new 2017 Audi A8L 3.0 TFSI for the Blog of the Week. The fourth generation, A8L arrives at our workshop for a makeover with the award-wining, ZeTough Ceramic Paint Protection coating. 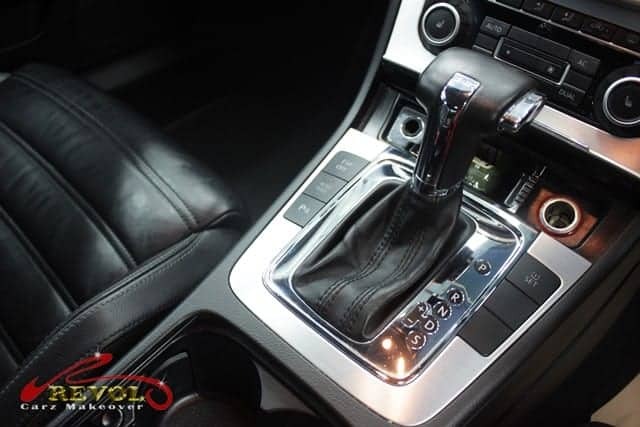 The Audi A8L is powered by a supercharged 3.0-liter direct-injection aluminum V-6 engine with 333 horsepower and 325 lb-ft of torque and mated with the slick version of the ubiquitous ZF eight-speed Tiptronic transmission. The A8L luxury sedan can accelerate from 0-100 km/h in 5.9 seconds and an impressive top speed of 250 km/h. As you would expect the 3.0 class delivers a posh interior. 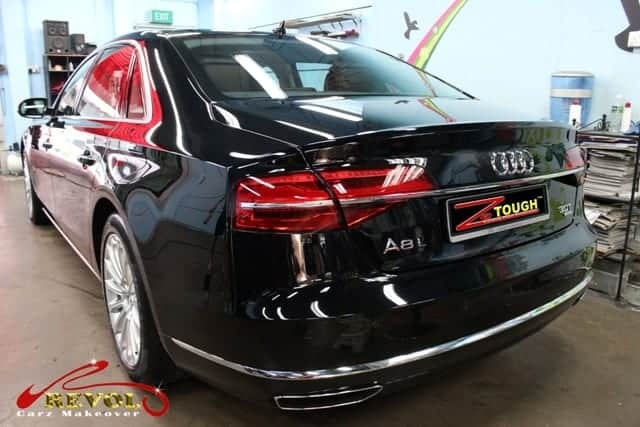 Like all Audis, especially the high-end sedans, the A8L is attractively designed inside, with handsome appointments, top-notch materials, and in the extra-length version, lots of luxury space. It’s quiet inside, too to enjoy the first-rate Bose audio system. 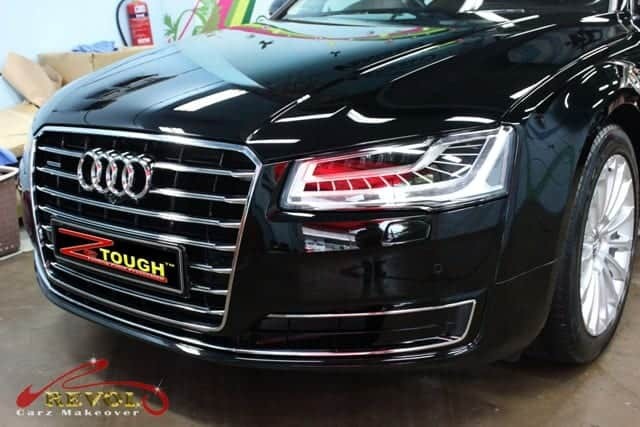 The new Audi A8L is truly an art of progress, beautiful and impressive from every angle after the coating of the unrivalled ZeTough Ceramic Paint Protection coating. 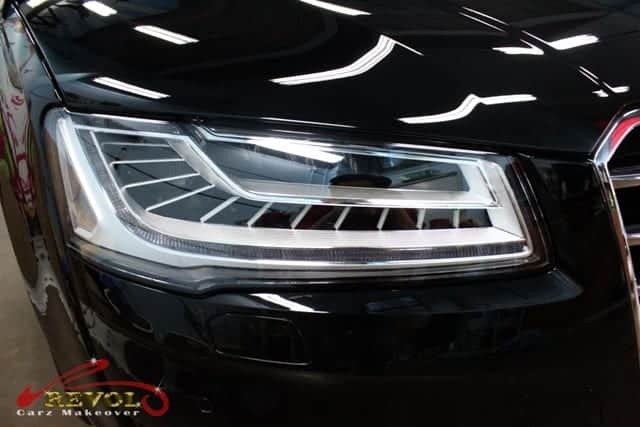 The front view of the A8L with large iconic grille and Audi Matrix LED headlights are just as thrilling after hours of meticulous hand-polishing to create the flawless mirror-like finish. 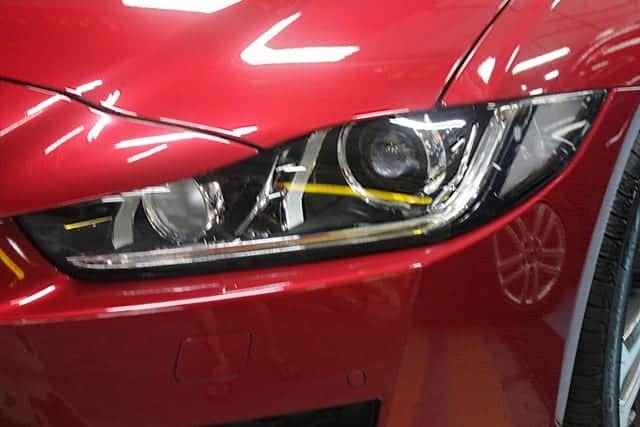 One of the important aspects of our makeover is to vigorously hand-polish the LED headlamps to an absolute super-clear finish. 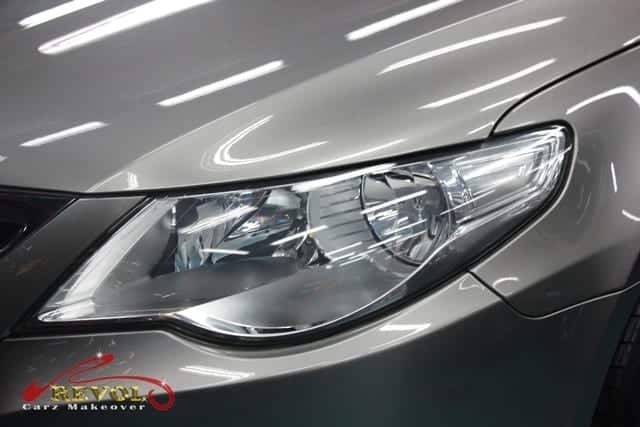 Additional features of the new headlights are the intelligent cornering light, day-time running lights and dynamic turn signals. After cleaning without harsh chemicals, the Audi’s supercharged 3.0-liter V6 aluminum engine is eager to roar. The 2017 Audi A8 has one of the nicest cabins in a class known for luxurious interiors. 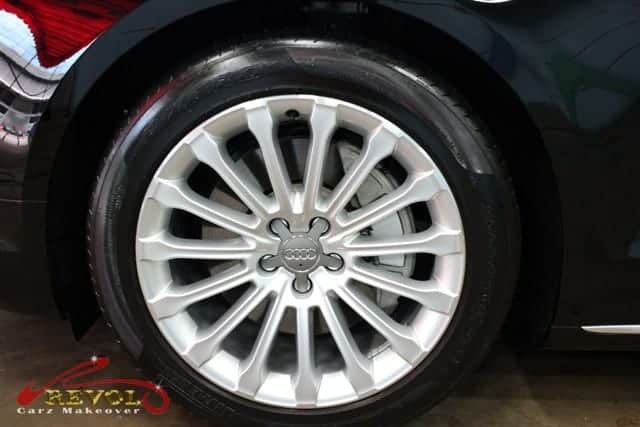 As you would expect of an Audi, the A8L is attractively designed inside with handsome appointments, top-notch materials. The dashboard and steering wheel are line with superior quality leather for elegance and expensive feel. Our professional team were obsessed with careful detailing every inch of the interior for a perfect showroom finish. More inviting after our attentive detailing. Our super detailing of the interior brings out an appealingly cleaned instrument cluster. 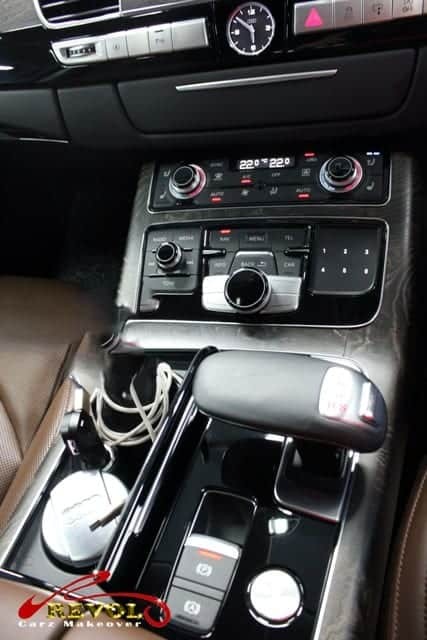 The A8L TFSI comes with a comprehensive infotainment system with iPod connectivity, Bluetooth hands free interface, sat navigation, Bose speakers adaptive cruise control. Up close shot of the door handle shows the menace of finger-nail scratches are gone. 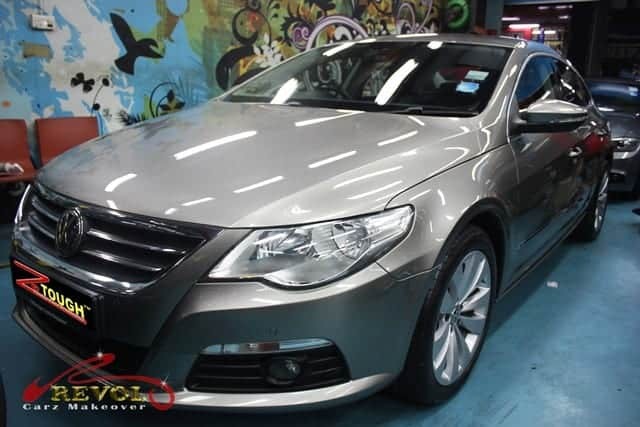 Thanks to the tough coat of ZeTough Ceramic Paint Protection coating that protects from further unsightly scratches. 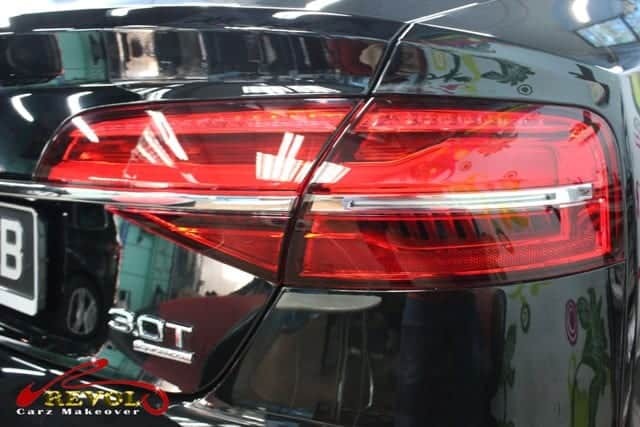 The rear view of the Audi A8L is alluring after the permanent coating of ZeTough Ceramic Paint Protection is fully cured. See to believe! Our skilled professional team have the expertise to revive the LED tail-lamps to incredibly new, jewel-like finish. The two elliptical like-new dual tail-pipes are pampered by our professional team. 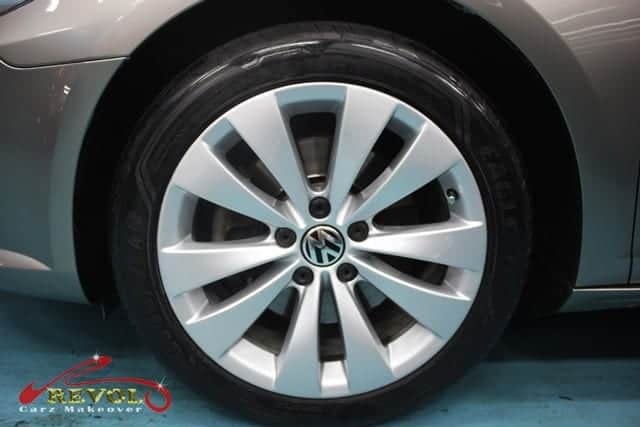 The 19-inch alloy wheels are completely restored like brand-new again. Notice that all the curb rashes are gone? 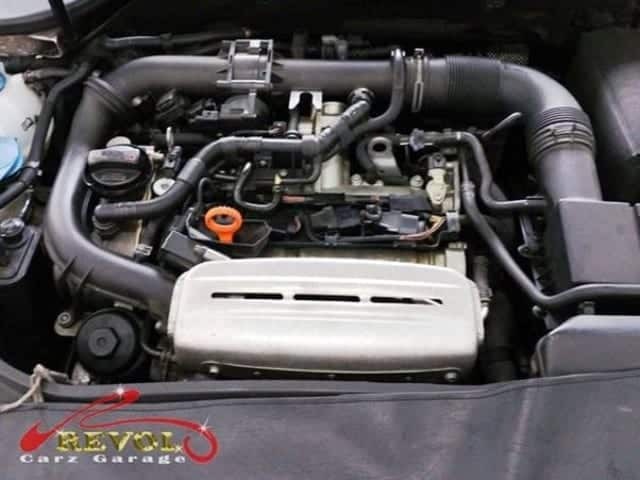 Whether your car is brand new or not-so-new, we, at Revol Carz Makeover have the expertise to restore it to a top mint, show-room condition again. 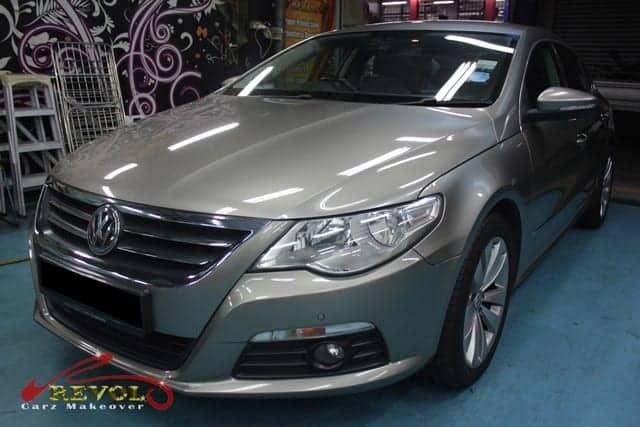 Perhaps you are contemplating giving your car a new elegance with a makeover? 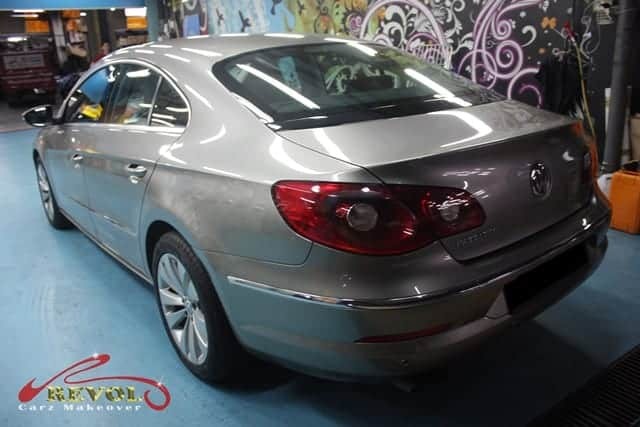 With the proven coating of our Eco-friendly ZeTough Ceramic Paint Protection coating, we guarantee your car’s paintwork gets unparalleled protection with the guaranteed showroom shine throughout your ownership. Maintenance after the coating is minimal.